I`m excited to finally present to you the new blog design! Isn`t the oven ADORABLE? My youngest sister designed it for me. ♥ I have been planning a new design for awhile, but didn`t have time during school to make it happen. Since it`s finally Winter Break, I had time. Yay! Christmas is in a few days! For those who celebrate the holiday, aren`t you all EXCITED?! I`m excited for the huge family gathering we`re going to have and the food!! I just can`t wait. :D I have a feeling it`s going to loud with everyone talking at the same time and catching up with everyone else. This year is my first year baking Christmas cookies, so I looked to some of my favorite blogs for recipes. I made these Dark Chocolate Sandwich cookies from Sifting Focus and Peppermint Pinwheels from Pastry Affair. They`re both recipes that require chilling time in the fridge, so if any of you do plan on baking any of these, be prepare. 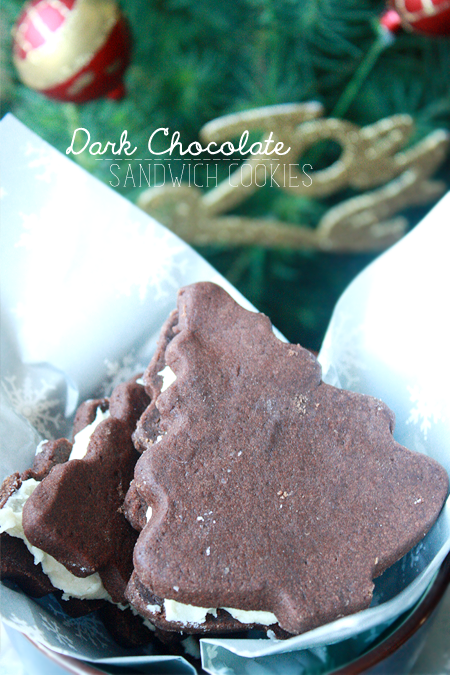 First, let`s talk about the Dark Chocolate Sandwich cookies. I love the combination of chocolate and white chocolate from the frosting in between. Using a tree cookie cutter really made it a holiday treat. My sister didn`t really enjoy these cookies though, since she`s not a fan of dark chocolate. Hey, just preferences in this case. But, I enjoyed them! 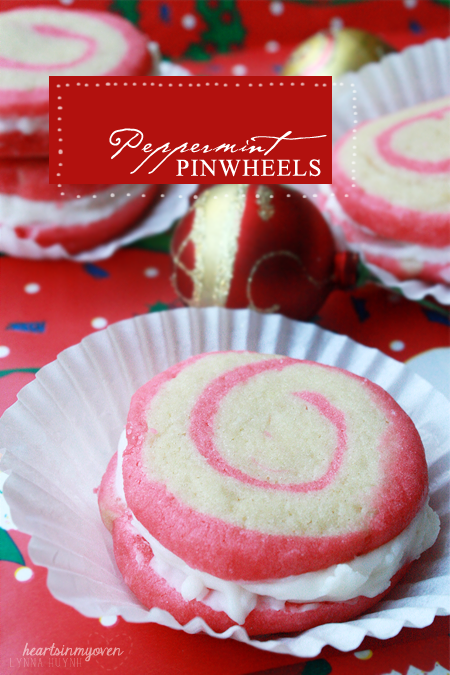 As for the Peppermint Pinwheels...I love the idea. I have never made slice-and-bake cookies before, so I was excited. I actually wanted to make it a pop, but the cookies were too big. Boo. Honestly, I`m not sure what I did wrong, but the cookie had a weird taste. It was probably the red food dye I used? The recipe recommended paste, but I only had the liquid dye and used that to color the red part of the cookie. Both my sisters love this cookie though. The peppermint frosting covered the taste of the cookie pretty well. Even though Christmas is in a few days, I always feel like this holiday is more about spending time with the people we love. Thus, I still have a few more recipes I want to try before the big day!